Blu Solutions offers services to setup and manage every aspect of technology in your hospital. We have the experience and expertise to set-up, manage, or improve your existing Practice Management Software, Hospital network, Email and Website marketing, Digital Radiography, Barcode labeling and much more so you will finally have time to focus on your practice. 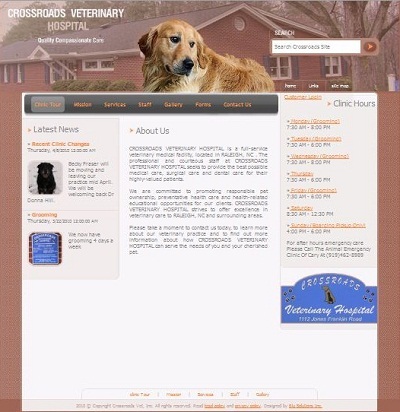 We have 15 years experience in veterinary practice management and IT consulting. Practice Management Software helps your hospital run smoothly by keeping track of all customer and patient records. When used correctly, Practice Management Software can enable your hospital to be completely paperless. Blu Solutions can setup and give you the training to utilize the Practice management software of your choice. We have a certified AVImark trainer on staff and we recommend AVImark as our Practice Management Software of choice. We have over 10 years of experience assisting practices in using AVImark. Your network is the life line of all technology in the hospital. Without a properly designed and implemented network, everything in your practice can’t operate at its full potential. We have the experience and expertise to build a reliable modern network for you from the ground up. We can also troubleshoot and upgrade any issues on your current network. We can help you get the most out of your technology investments by training staff and doctors on how to properly use your practice management software. We can help with inventory management, patient records, employee time cards, pharmacy supplies, and many other aspects of your practice. Wouldn’t you like to be able to email all of your clients practice news and notifications from one place? We can help you setup and maintain all of your client contacts and email communication. Blu Solutions can also help you market yourself through the web by designing a custom website for your practice. We can ensure your website will be seen by Google, Yahoo and other popular search engines to give your site the most exposure possible. Blu Solutions can automate offsite backups for all of your sensitive data so you can rest easy that your patient and client data is safe and recoverable in case of an emergency. We use standard Dell laptops and desktops. Blu Solutions handles all aspects of new computer setup for you including enabling all of your computers to search safely on the internet while sharing practice data accross the hospital. Do you have an idea for new technology that could give your practice an advantage over your competition? Blu solutions can design custom software to make your idea a reality.